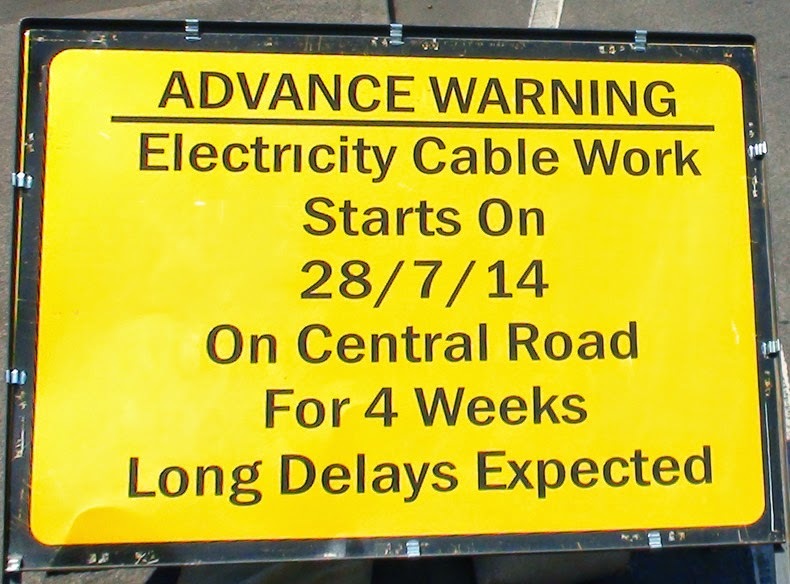 Well we've got two weeks to enjoy driving the length of Central Road in less than an hour as Worcester Park will be reverting to type on Monday 28th July. This one is all for the sake of our electricity and no doubt is in some way connected to the recent spate of power failures. I can only guess the electricity mains they replaced during the 'Big Dig of 2011' were the wrong sort of electricity mains and once again we must bear our collective brunts as they sort it out. 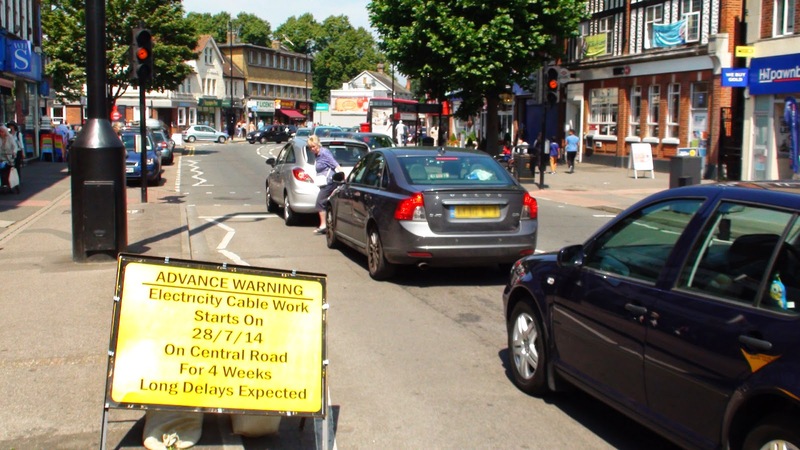 We should expect Long Delays piled on top of the normal long delays in Worcester Park. Do we need to be out the door by 4:30am to beat the traffic now? Or 2:45? Or 11pm the night before? Perhaps we should all move in to our place of work for a month or even set up home in our cars - seeing as that's where we will be spending most of our time from the end of July. Apparently the the works will be from close to the Stone Place entrance to just past the Brook pub on the South side of Central Road.